The 2nd Annual Boston Local Food Festival took place on Saturday October 1st at the Fort Point Channel on what turned out to be a beautiful fall day. As part of an initiative by the SBN (Sustainable Business Network) Local Food Committee, this food fest featured dozens of businesses from the Boston area, each offering tastings of fresh and local fair. The event was free and while some booths were dishing out small complimentary tastings, most booths had a list of larger samplings from $1-$5. There were food trucks, savory bites, food demonstrations, sweet pastries, fruit preserves, farmer’s market produce and more! Below are some hi-lights of my Saturday afternoon. 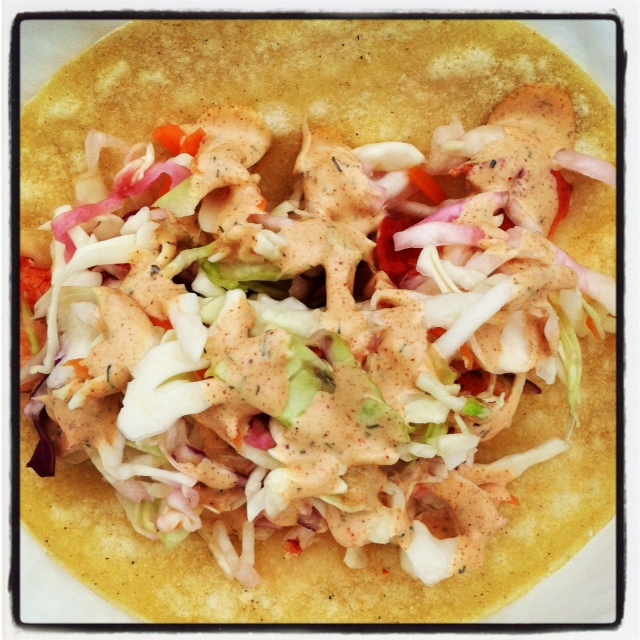 My first taste of the day was this lobster taco from the Newburyport Crab Cake Company. A soft tortilla topped with warm lobster, cole slaw, and spicy aioli. Might have been the best thing I ate all day! 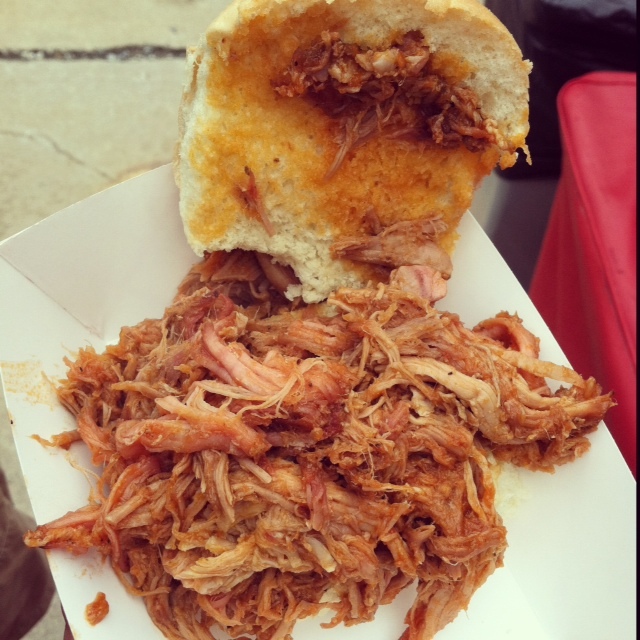 This pulled pork sandwich is from the famous Redbones out of Somerville MA. 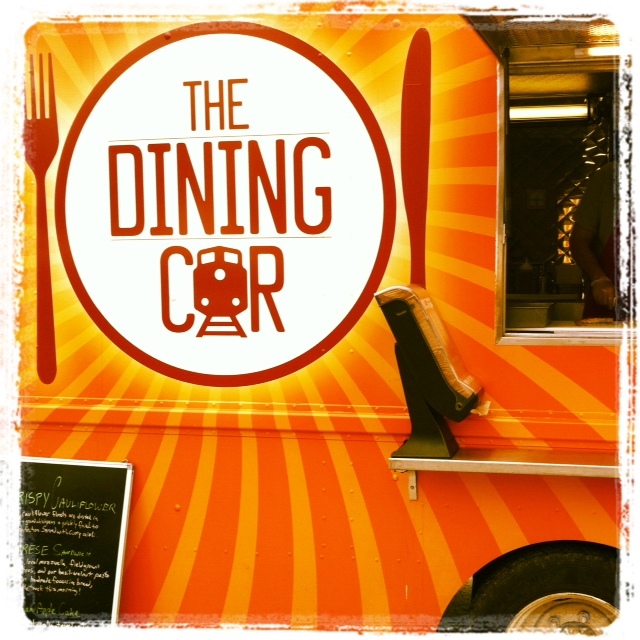 Their food truck was on of the many present on Saturday along with Grilled Cheese Nation and The Dining Car. Sofra Bakery had sweet & savory pastry items like Shanklish Fatayer, Cornmeal Apple Snacking Cake, and Butternut Squash Tart. 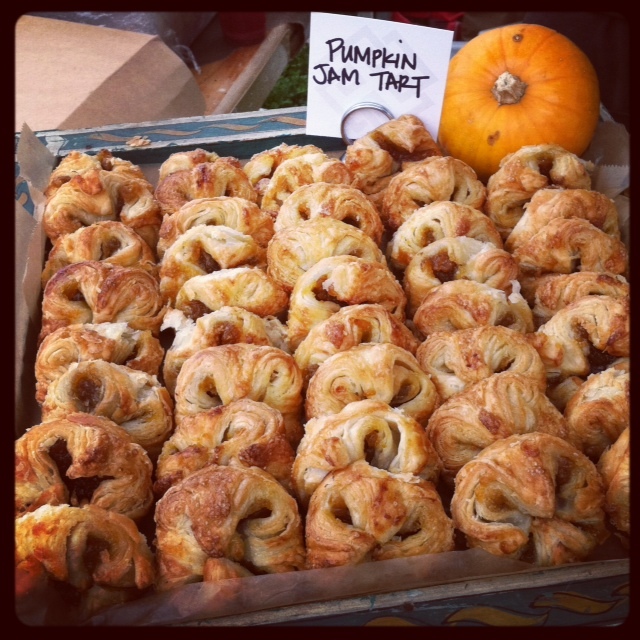 I opted for the Pumpkin Jam Tart which was to die for. The longest line I saw was at the Calendar Islands booth where people were anxiously waiting to try their Maine lobster cakes. Unfortunately I was full by this point, but thankfully had gotten my lobster fix earlier in the day. 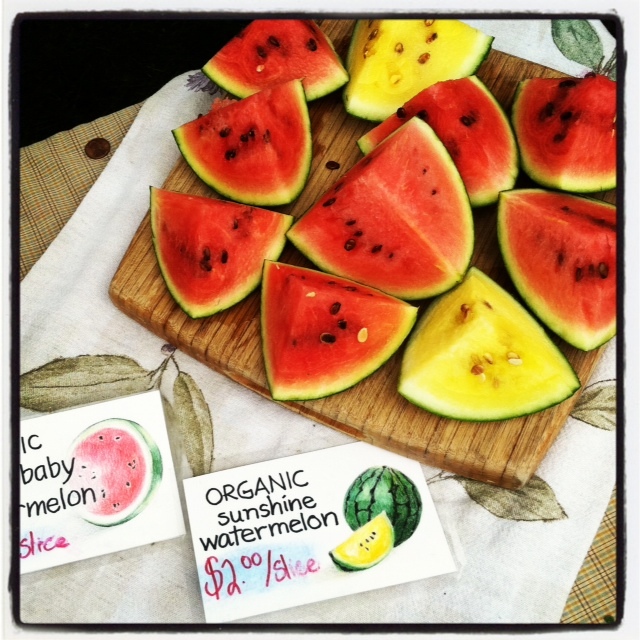 One of the items I regret passing up is the sunshine watermelon from the Rockville Market Farm from Starksboro VT. Along with fruit and butternut squash soup, RMF brought a mini farmer’s market and was selling organic veggies, pastured meats, and organic eggs. 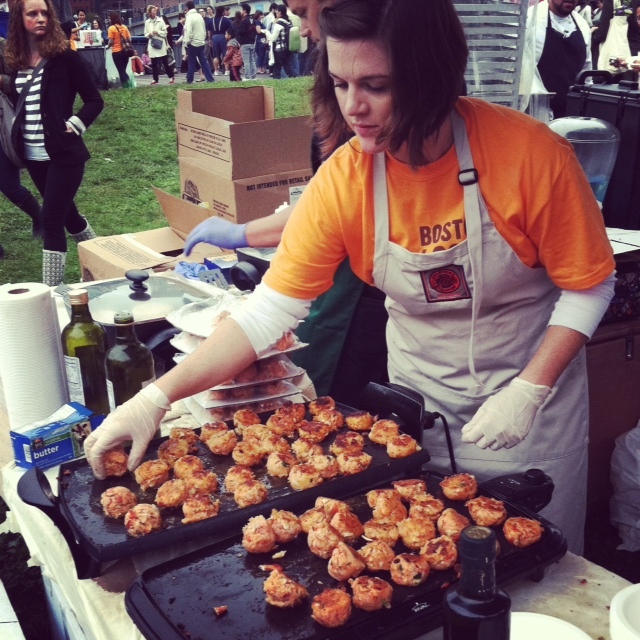 For a look at my full photo album from the Local Food Festival, please visit “The Perfect Bite, Boston” on Facebook. This entry was posted in Fort Point by Dena Raffa. Bookmark the permalink. Thank you for your posting and glad you enjoyed the event.